This staff's bells and mistletoes are said to protect its user from evil. May it bring its wielder joyous nights, a Merry Christmas, and a happy New Year. But probably safe to reduce. Weapon is delivered fully uncapped. Grants the Holly Jolly outfit and talent points while equipped as main weapon. 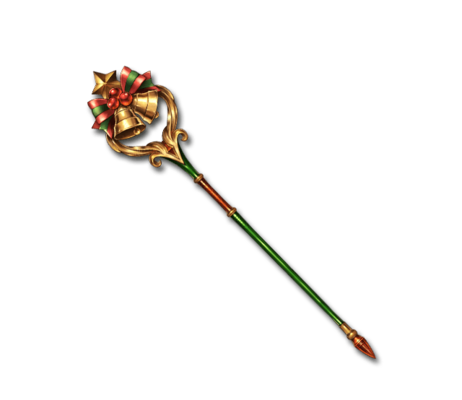 Once the staff reaches 1000 talent points you receive a Holly Jolly outfit you can use without the weapon equipped. This page was last modified on 4 December 2018, at 12:03.